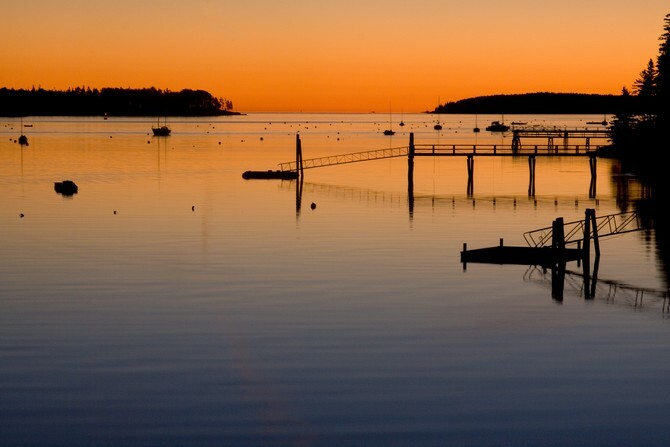 During the second week of October I attended a workshop on Mount Desert island in Maine under the guidance of two nationally renowned nature photographers and writers, Ian Plant and Richard Bernabe. I am in awe of their work, and one hopes that something will rub off onto a struggling wannabe. It has taken me since then to work through all of my shots, culling and editing down to a handful that I think are representative of the trip. Below are some of those, and you can click here to see a few more images in one of my galleries. Sunrises and sunsets are always an objective and we had a couple of nice ones. Here’s dawn at Hull’s Cove along the northeast face of the island. This was a quiet pre-sunrise scene on a small, not yet awake harbor. Late one afternoon we headed to Cadillac Mountain to see what the sunset might provide and we were rewarded with this scenery. 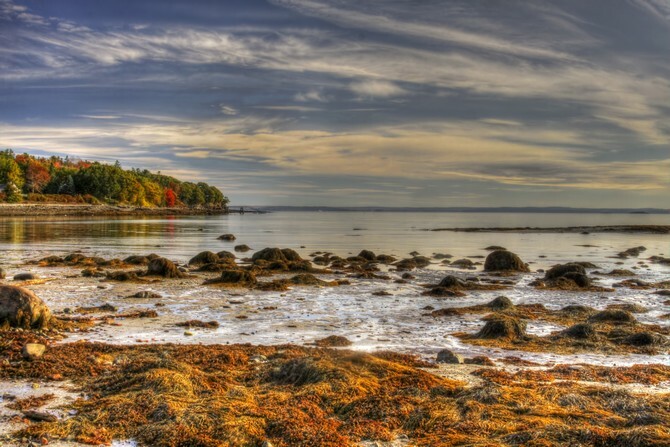 I’ve heard about the “rockbound coast of Maine”; now I was able to see it, feel it, and hear it. 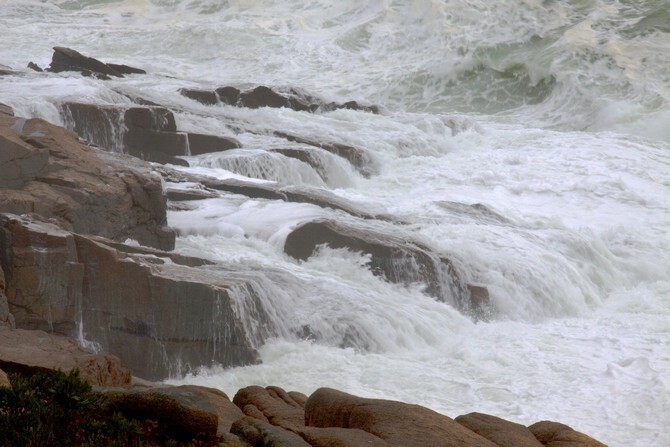 This scene was near Thunder Hole on the east side of the island where a nor’easter was pounding the coast. Violent, thunderous, crashing waves. The power of a nor'easter. But we also encountered peaceful scenes such as this one along a stream that fell quietly away from Jordan Pond. It was a good week for me. I enjoyed the camraderie of a very pleasant and fun group of people, all chasing the light. It was great to be out on my third workshop with Richard, and to meet and watch Ian at work. I enjoyed the new scenes and their diversity. Yes, it’s a lot of “shore” stuff and that’s what I shoot a lot and that’s what the Cape Cod week was also about. But….they’re all unique and I enjoyed it all. What did I come home with besides some new images? I developed further respect for the patience required to capture distinctive images. I’ve been aware of this for years but it has also taken years to get it internalized. 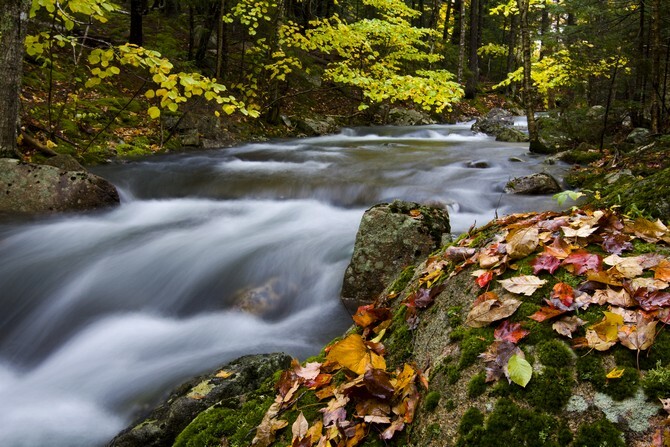 On this trip I watched our leaders just study and study and study a scene, spending as much as an hour over a bubbling brook with a swirl of fall leaves….and then going back later to shoot it again. It was good! As I noted earlier, there are a few more scenes from the week at my gallery. Click here. Ralph, your pictures are wonderful. I long to see Maine again. Thank you for giving me a peek! Glad you enjoyed the trip so much. Ralph, how very special – you’ve captured so many different moods. 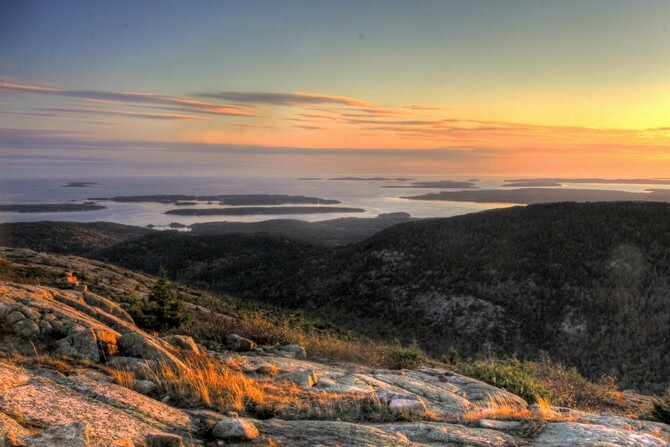 Maine is on my bucket list. Thanks for including me, vicariously, in your new-found passion. Your body of work is impressive and deeply moving. Thanks, Claire. It’s fun for me but I’m glad others like my work as well.